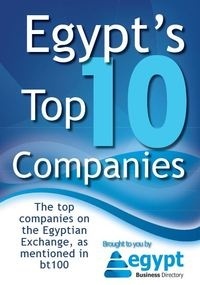 Hadia Hosny, one of global direct selling company QNET's Independent Representatives, will represent Egypt in the London Olympics 2012. QNET, a leading international direct selling company, expressed its happiness and pride for Hadia Hosny, one of QNET’s Independent Representatives in Egypt, who will represent Egypt in the London Olympics 2012 in badminton. Hosny, an inspirational 23 year old athlete, made history when she competed in the Beijing Olympics in badminton in 2008 and was able to secure a spot in the highly anticipated London Olympics, taking place over the next couple of weeks. Hosny expressed her delight in qualifying for the London Olympics 2012, which was achieved through hard work, in collaboration with the Egyptian Federation of Badminton, promising to accomplish new achievements and raise Egypt’s status in the international sports arena. The QNET IR is ranked No. 1 in Africa and No.102 worldwide in badminton. The skilled athlete came second in the African championship in 2005 and 2007, while in 2010 and 2011, Hosny managed to win the individual students title and the gold medal in badminton during the Second Pan Arab University Games. Badminton is becoming more popular in Egypt, and with role models like Hosny reaching new heights and achieving esteemed titles, Egyptians are finding inspiration in the sport and are increasing their involvement in its development nationally and on a global stage.